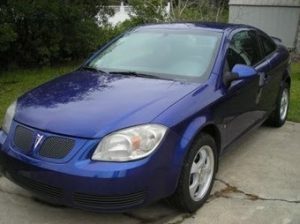 New Orleans police officers are searching for a suspect accused of stealing a blue 2007 Pontiac G5 from the 1300 block of Willow Street. The victim told police that on August 27, 2018, at or around 3:30 p.m., he discovered that his vehicle was missing from the aforementioned location. The victim advised officers that he may have dropped his keys near his vehicle. 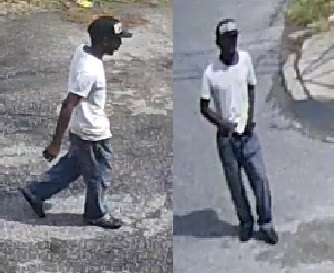 Officers reviewed surveillance video from this incident and observed an unknown male subject dressed in blue jeans, a white shirt and a black hat, reached to the ground and retrieved an unknown object near the victim’s vehicle. The subject then entered the victim’s vehicle and drove away, heading westbound on Willow Street. Anyone with any information regarding the pictured subject’s whereabouts should contact Sixth District detectives at 504-658-6060. Citizens with information that can help solve crimes are asked to call Crimestoppers at 504-822-1111 or toll-free at 1-877-903-STOP.